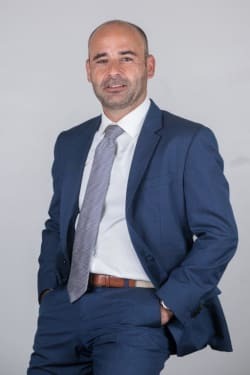 Miguel Mendes Pereira has a law degree from the Faculty of Law of the University of Lisbon; an LLM in European legal studies from the College of Europe, Bruges, Belgium; and a master’s in European legal sciences from the Faculty of Law of the University of Lisbon. He is a lecturer at the Faculty of Law of the University of Lisbon in EU law and competition law (postgraduates). He joined Vieira de Almeida in 2011 and is currently a partner in the competition and EU practice. He is also active in the field of copyright, electronic communications, media and advertising. Before joining the firm, he was a partner at Abreu Advogados (2008–2011), lead legal counsel at the Portuguese Competition Authority (2006–2008), legal secretary at the chambers of the Portuguese judge at the General Court of the EU in Luxembourg (2004–2006), administrator at the Directorate-General for Competition of the European Commission in Brussels (2000–2004), head of legal affairs at Lusomundo and Warner Lusomundo (1997–2000) in Lisbon and an associate lawyer, as well as trainee, with Athayde de Tavares & Associados (1992–1997) also in Lisbon. He is the author of various articles and publications, including the Commentary to the Portuguese Competition Act (2009), and speaks regularly at conferences and seminars. His work has also been recognised by the most important international rankings, including Chambers Europe, The Legal 500 and Who’s Who Legal, all of which rate Miguel Mendes Pereira as a leading and recommended lawyer.